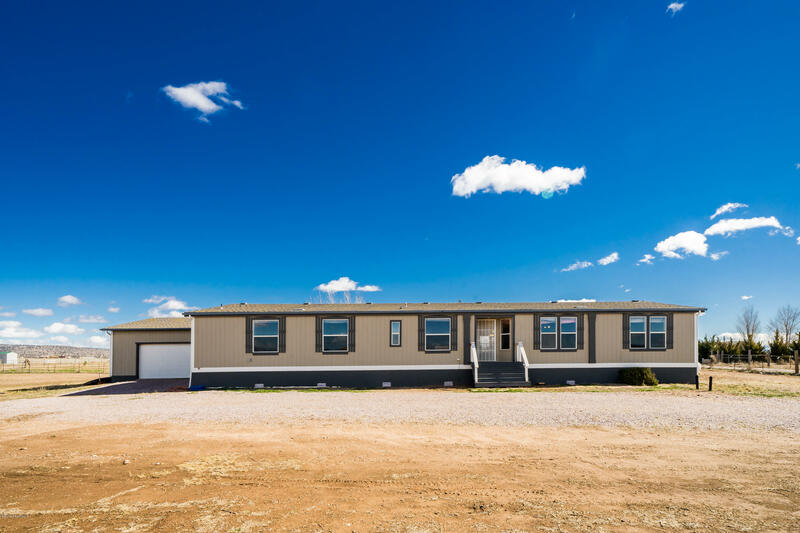 Perfect home for your family plus your horses and dogs. 5 almost level acres fenced and with views. Both interior and exterior have been updated. New paint inside & out. Interior has new Counters, sinks, faucets light fixtures and toilets plus new floors and registers. Exterior has new decks, light fixtures, a new roof with upgraded shingles and gutters. The shop/garage has new doors.